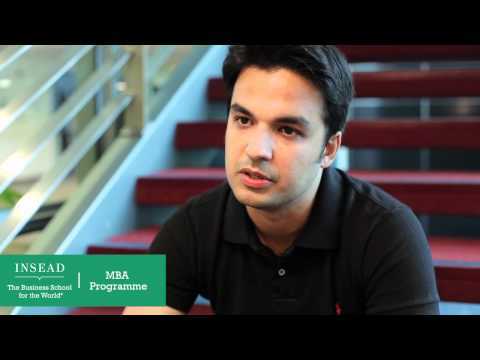 As one of the world's leading and largest graduate business schools, INSEAD brings together people, cultures and ideas to change lives and to transform organisations. Our 148 renowned Faculty members from 40 countries inspire more than 1,300 degree participants annually in our MBA, Executive MBA, specialised master's degrees (Master in Finance, Executive Master in Consulting and Coaching for Change) and PhD programmes. In addition, more than 9,500 executives participate in INSEAD's Executive Education programmes each year. INSEAD became a pioneer of international business education with the graduation of the first MBA class on the Fontainebleau campus in Europe in 1960. In 2000, INSEAD opened its Asia campus in Singapore. And in 2007 the school began an association in the Middle East, officially opening the Abu Dhabi campus in 2010. 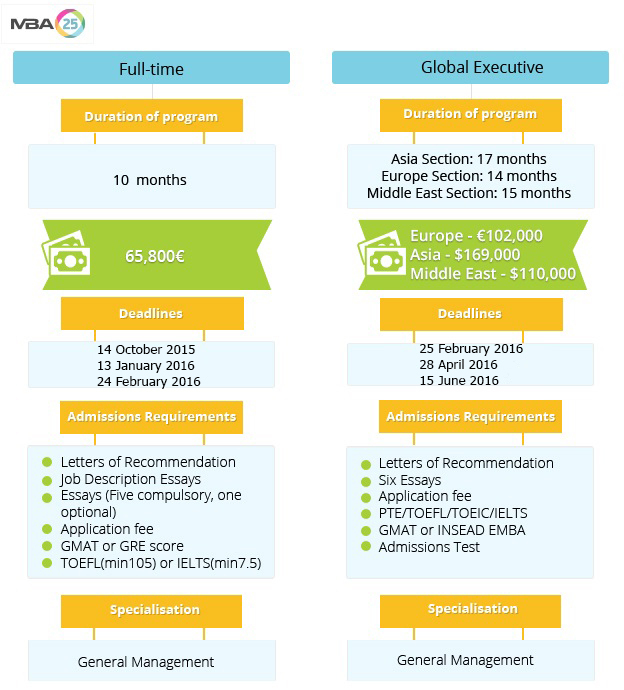 Avarage salary after graduation Masters/MBA/EMBA: US$125,300 median annual salary with sign-on bonus.